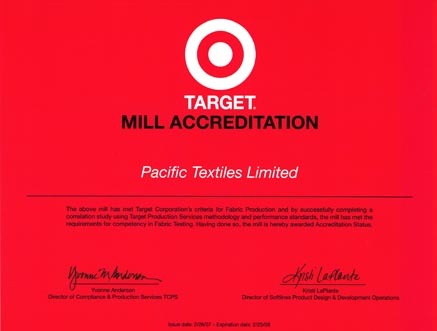 To guarantee the quality of its products, Pacific Textiles Ltd has invested and implemented a stringent quality control system throughout the entire production process. 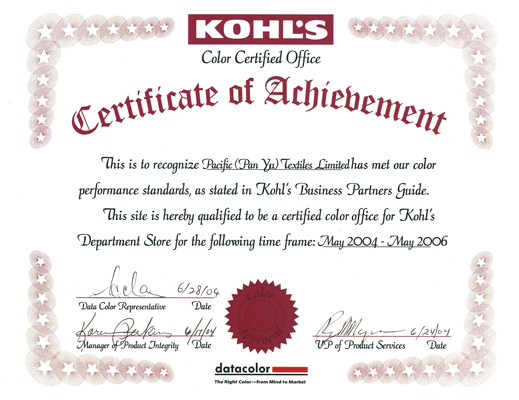 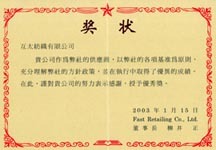 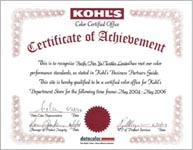 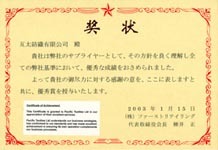 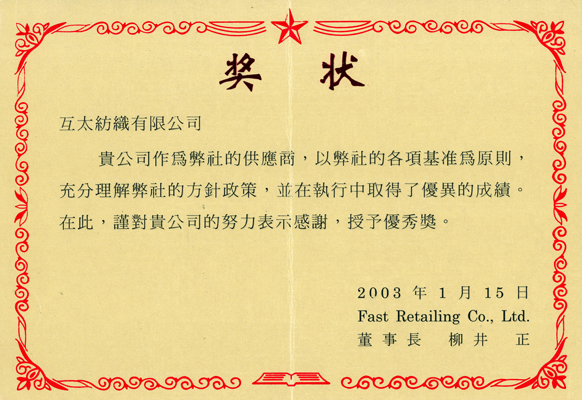 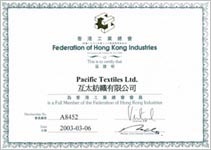 It has been presented with accreditation and appreciations certificates by many of their business partners. 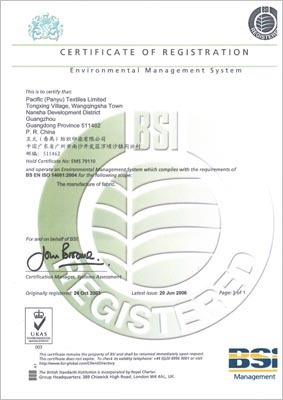 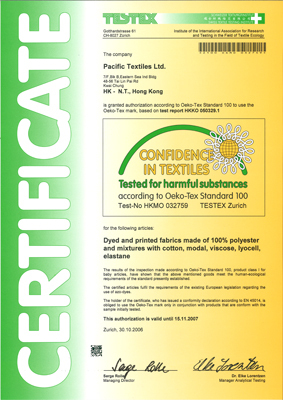 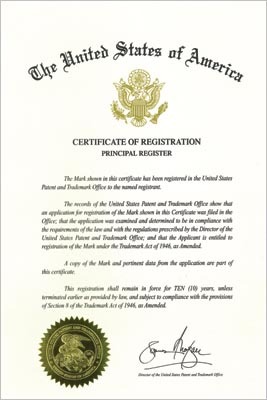 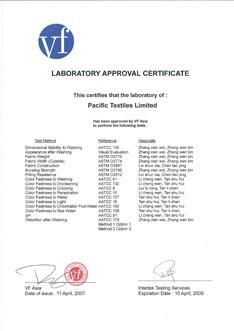 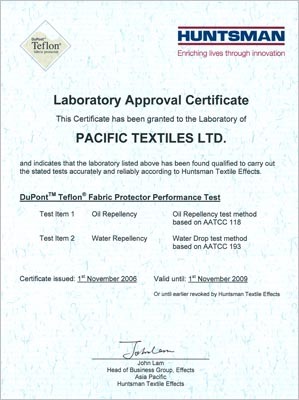 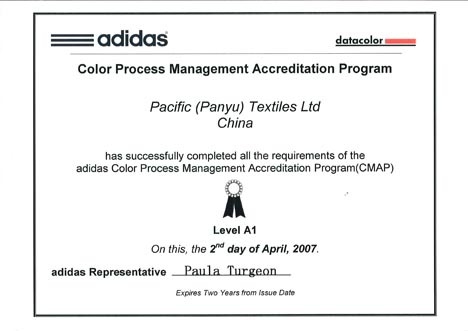 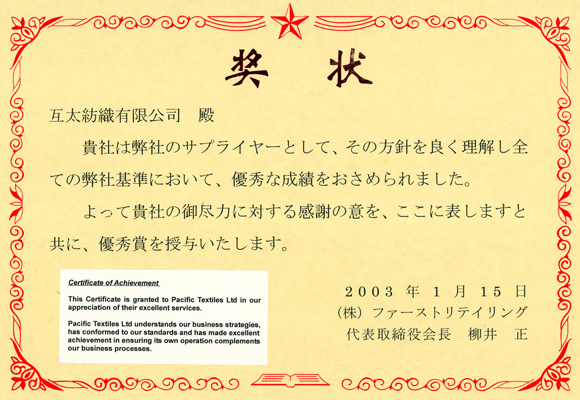 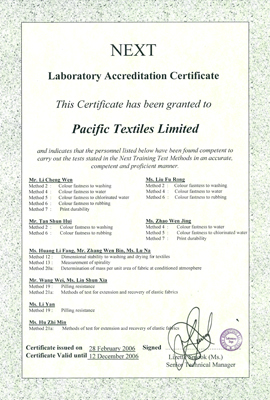 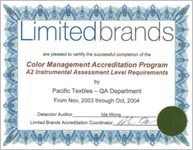 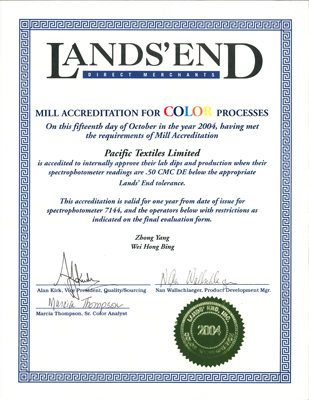 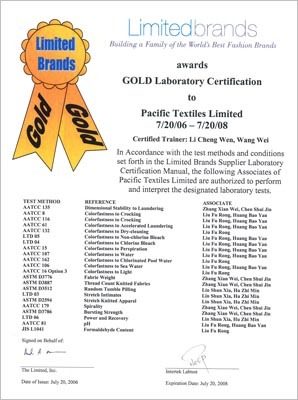 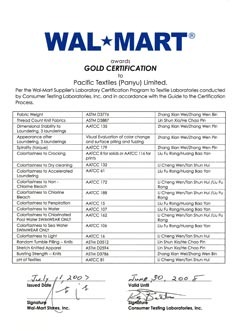 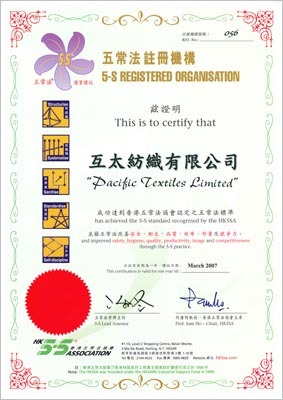 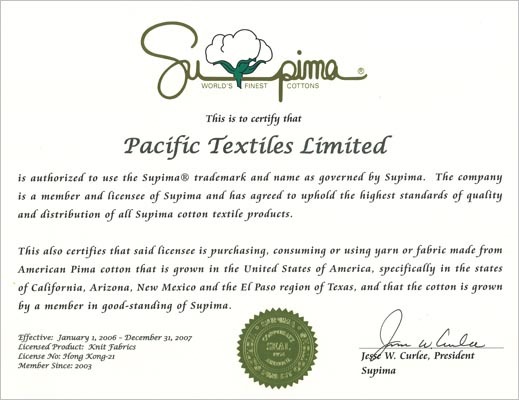 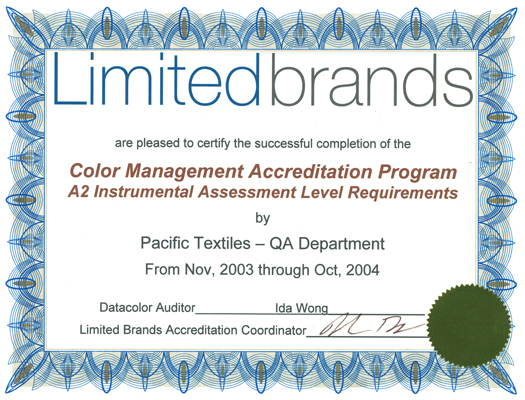 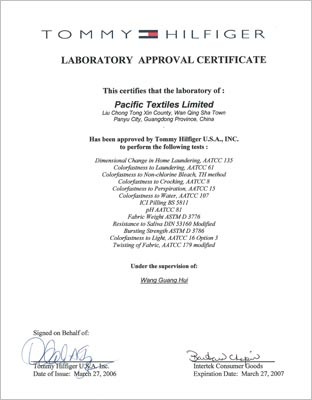 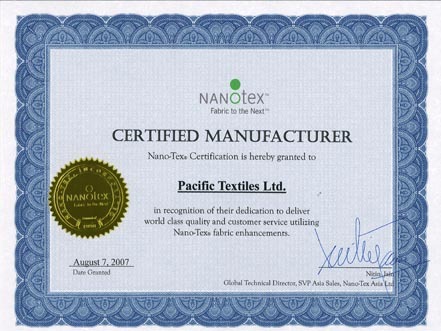 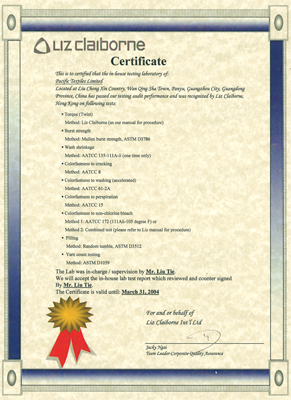 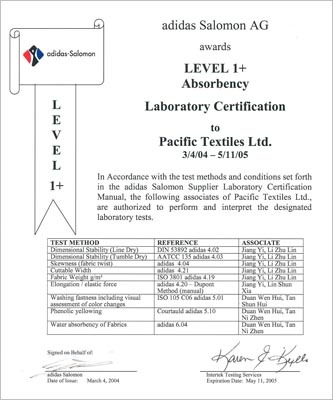 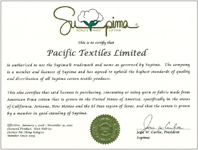 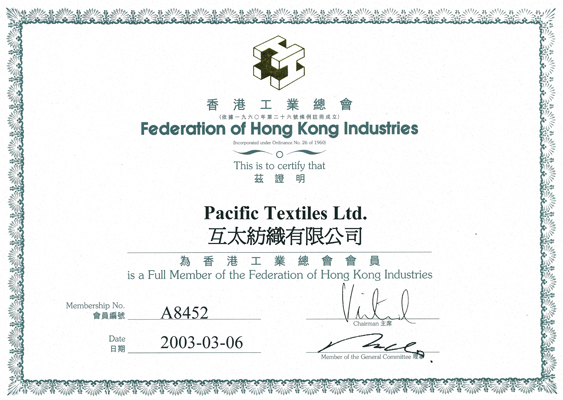 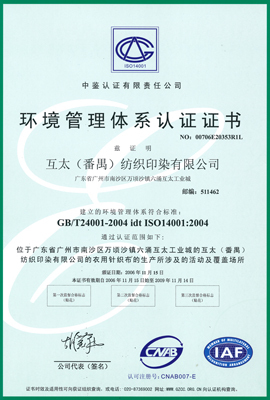 Pacific Textiles has been accredited with ISO9001:2000, ISO14001:1996, ISO14001:2004 and Oeko-Tex Certificates issued by various international quality assurance organizations. 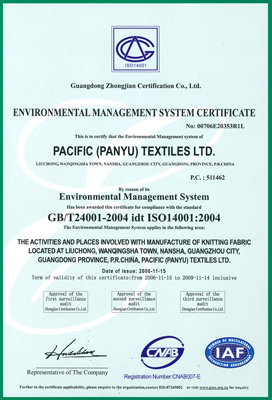 All of the quality assurance and environmental management systems have proved its continuous efforts in strengthening designs, development, production, quality and environmental protection.